In 1852 a young couple met for the first time by chance aboard the cross channel packet from Boulogne. Theresa Longworth, the sixth child of a wealthy Manchester silk manufacturer, was just twenty-two, and was coming home after receiving a convent education in France. 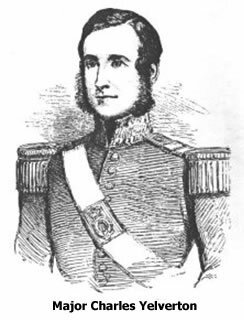 Charles Yelverton, a Major in the Royal Artillery, was thirty-three, the third son of an Irish peer, Lord Avonmore. By all accounts, the Major was a dashing figure, and Theresa, if not beautiful, was vivacious and intelligent. The attraction was immediate, strengthened on Longworth’s side by Yelverton’s thoughtfulness in escorting her home, when her sister failed to meet her off the boat. In June of the following year, when Longworth was in Naples to complete her education, she learned that Yelverton was in Malta, and wrote to him asking him to forward a letter to a friend in Monastir in Turkey. So began a regular correspondence, until they met again in the Crimea, where Yelverton was on active service, and Longworth was a nurse with the French order of Soeurs de Charité. So began an intimate relationship which was to result in a series of court cases, in Dublin, Edinburgh, and finally before the House of Lords, as Longworth strove to persuade the courts to recognise the legality of her marriage to Yelverton. The ceremony referred to here was neither a Catholic marriage, nor the ‘Scotch method’. Longworth claimed that on the 12th April, 1857, they had sat down together in St Vincent Street, and read the Church of England marriage service from the Book of Common Prayer. Neither of them seems to have considered this as of itself as a binding marriage contract. 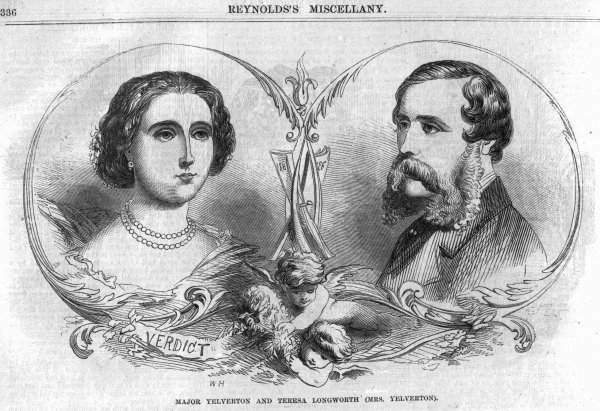 Yelverton later denied in court that it had ever taken place, while Longworth, so she claimed, had refused to give in to Yelverton’s demands that they sleep together until their marriage had been blessed by a Roman Catholic priest. 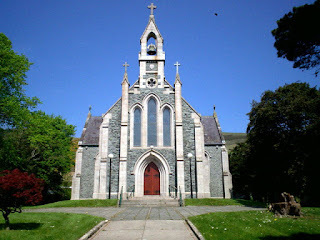 To humour her, Yelverton eventually agreed to travel with her to Ireland, where, on the 15th of August, 1857, in the chapel of Killowen, near Rostrevor, they went through a form of service officiated by a Catholic priest, Father Benjamin Mooney. Longworth evidently regarded this as a valid marriage service, while Yelverton saw it as no more than a sop to her conscience. Anyway it had the desired effect, and for several months thereafter, the couple travelled together round Ireland and Scotland as man and wife. In December, Longworth went to stay with friends, a Mr. and Mrs. Thelwall, in Hull, and Yelverton visited her there. 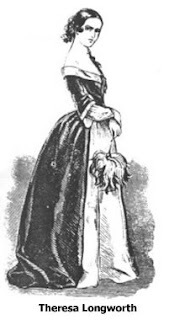 Then in 1858 they set off again to travel in France, where Longworth discovered she was pregnant. Yelverton left to return to his military duties, while she struggled to cope with a miscarriage and subsequent ill-health. Before she lost the baby, however, she wrote to Father Mooney to ask for a copy of her marriage certificate so that there would be no problem over the baptism of the child. Mooney duly sent her what purported to be the certificate, but according to one account the marriage had not been entered into the parish books, and the names of the witnesses were fictitious. Then the whole situation began to fall apart. Yelverton’s departure from France was abrupt and acrimonious. He now found himself in financial difficulties, for which he blamed his ‘wife’. But worse was to follow. 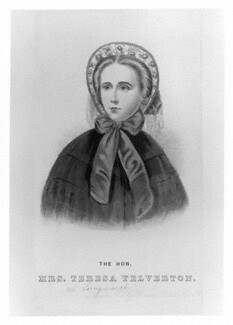 On the 26th June, 1858, Yelverton married the widow of an Edinburgh professor, one Emily Marianne Ashworth Forbes, who was reputed to have inherited £50,000 from her husband. Longworth learned of the marriage on the 29th. 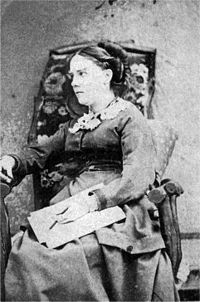 She also received a letter, probably written by Yelverton’s older brother, making it clear that ‘all connection between Major Yelverton and Miss L. should now cease’, and offering Theresa a passage to New Zealand, ‘or to anywhere else she should wish'. It was time to fight back. Longworth succeeded in having Yelverton arrested and lodged temporarily in the Calton jail in Edinburgh on a charge of bigamy, though the case collapsed for lack of evidence. Then she sought the restitution of her conjugal rights through the newly created Court for Divorce and Matrimonial Causes, only for the Court to disclaim jurisdiction. Staying for a time with her friends in Hull, she and John Thelwall devised an ingenious scheme, whereby he was to claim in court that Yelverton, as Theresa’s husband, owed Thelwall £259:17:3, for board and lodging costs incurred by his ‘wife’. The real purpose of the action, of course, was to force recognition of their marital status, and it was this claim which Longworth took the court in Dublin in 1861. In this she was initially successful. After no more than an hour of deliberation, the jury returned a verdict in her favour, declaring that there was both a Scottish and an Irish marriage. Theresa was the heroine of the hour, and delivered a victory speech, in which she declared that the verdict had made her an Irishwoman. It couldn’t last. Yelverton now took an appeal to the House of Lords. Despite once again having the professional support of Lord Advocate Moncreiff, Theresa lost the case. In the next few years she tried by other legal means to achieve her objective, but without success. In 1865, again with Moncreiff as her champion, she sued the Saturday Review for libel, to the tune of £3,000, for an article which had portrayed her as little better than a common prostitute. She lost again. But it was by no means the end of her story. In later years she travelled widely, and wrote two books describing her experiences. Having been rejected by Yelverton, and had her claim to be his wife dismissed by the highest court in the land, she simply ignored the lot of them, and called herself Mrs. Yelverton, or, after the gallant major succeeded to his father’s title, Viscountess Avonmore. Fascinating! I admire her fighting spirit! Yelverton was a RAT!!!! The other woman was already pregnant when he married her. Also, the letter from his elder brother, trying to buy Theresa off, has me suspecting that this had happened before, but the other woman/women had accepted the money and kept quiet. One of the key aspects of this story is the extremity of value a woman's virtue had for her and for the community in which she lived. To lose that in this period was not merely social death, but could lead to the actuality as well. Living as a pariah was no light burden, and a woman might have no means to care for herself, losing any family or support in the bargain. Theresa Longworth (so well named) wasn't just a feisty heroine with a gripping story, she was fighting very literally for her life. This must have been harrowing beyond description, and the doc umented details of the sexual side of this situation are especially poignant, because for this to be told (and told and told for generations) must have been humiliating in the extreme.